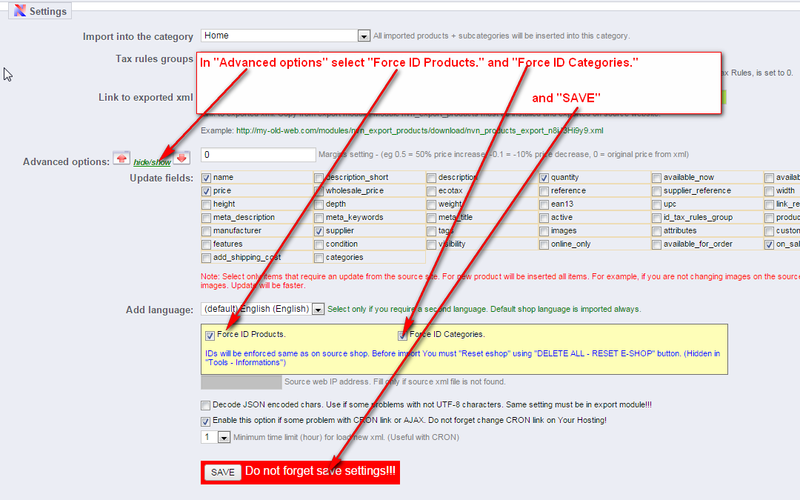 Force same ID products and Categories is possible, only if target e-shop version is 1.5.x or greater. All previous products from target e-shop will be deleted. If You got this error and You absolutely sure, that export file exist, use this option. To get source site IP address use command line: ping source_web.com. Example in Linux, for Windows is same in “Command Line” C:\.